"There is a risk that the required resources / environments will not be available when required should other projects be prioritised over this one that the launch date will not be met." Why raise this? 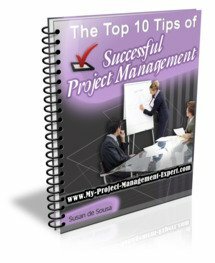 Well getting hold of resources and environments are major problems every project manager faces. Organisations usually initiate numerous projects with little understanding that there are simply not enough resources to get them all delivered. The sooner you point this out to Project Sponsors the better the chance that they will ensure you get what you require. And of course if they don't pull rank and get you what you want then you've raised a key risk which covers you. "There is a risk that should key Project Stakeholders not make timely decisions that development will be delayed leading to slippage in timeframes". Now this is a bit of a cheeky one, but one you need to raise. Why? well you will need the approval from the Project Management Stakeholders to get the project management requirements (Business Requirements Documentation (BRD) and Software Requirements Specification (SRS)) signed off. Not getting this is a major cause of scope creep; something which you need to avoid at all cost. However by raising this risk you are highlighting to all concerns their responsibilities in ensuring the project gets delivered. "There is a risk that the project will be unable to deliver the requirements defined by the Project Stakeholders either because the technologies currently being used cannot be utilised effectively, or the resources within the Organisation do not have sufficient experience". This one basically highlights to everyone that there is no guarantee that the project can deliver. You will find that many Project Sponsors have little knowledge and even less interest in IT. They automatically assume that what they want can be delivered. You need to ensure they realise that this isn't the case and they may need to refine their requirements accordingly. These three risks relate to pretty much every project. Of course there are many more which relate to different types of projects eg infrastructure, SAP, software etc etc but those will be covered later.